Netflix (NFLX) added 3.6 million members in the third quarter, shattering its own expectations for growth and silencing skeptics on Wall Street. It now has more than 86 million subscribers. Netflix stock soared as much as 20% in after hours trading Monday on the news. Three months ago, Netflix stock tanked after the company added just 1.7 million new subscribers in the second quarter. 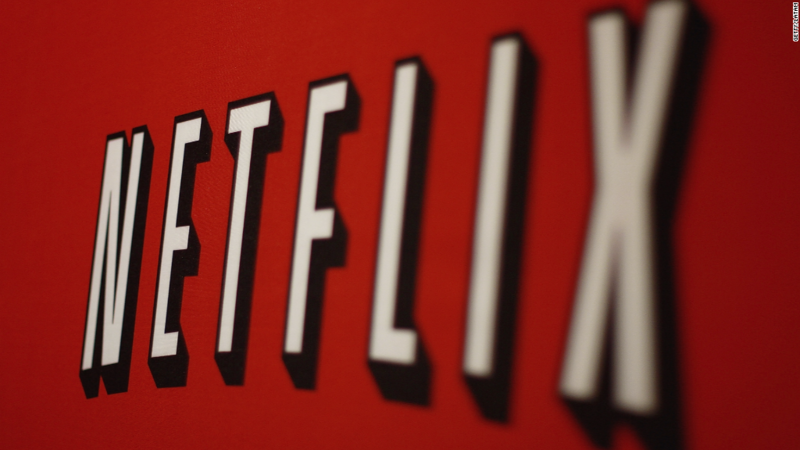 The weakness was driven primarily by lackluster growth in the U.S.
At the time, Netflix partly blamed the shortfall on users overreacting to a modest price hike on customers who had been grandfathered into lower rates. But the shortfall and reaction to it was severe enough that Netflix CEO Reed Hastings apologized to investors "for the volatility." "It's time for me to apologize for the volatility again," Hastings said on an investor call Monday. "This time it's in a good direction." Netflix saw renewed strength in the most recent quarter from its international markets, which accounted for 3.2 million new subscribers. Netflix had expected this segment to add 2 million subscribers for the quarter. The streaming video company chalked up its better-than-expected performance to "excitement around Netflix original content." Netflix has worked to attract customers by spending billions annually on premium original movies and shows like Stranger Things, the Get Down and Narcos. All three shows performed well in international markets, according to chief content officer Ted Sarandos, indicating that Netflix's original content "is traveling well." The company spent $4.9 billion on programming in 2015, according to a report from IHS Markit. By comparison, Amazon (AMZN) spent $2.6 billion. Next year, Netflix says it expects to spend $6 billion on original content and release "over 1,000 hours" of its own programming, up from 600 hours in 2016. In the United States, where Netflix launched nearly two decades ago, the service still appears to be nearing a saturation point. It added just 400,000 users in the U.S. last quarter. However, Netflix has attempted to reinvigorate overall growth with an ambitious global expansion at the beginning of this year. It is now available in nearly every country except China. Netflix's impressive subscriber growth also drove quarterly streaming revenue to top $2 billion for the first time in the company's history.